It’s hard to believe it’s been one year since my father passed away. I couldn’t sleep last night because I didn’t want it to be November 5th. I didn’t want it to be one year. It still feels like yesterday in so many ways. I’ve spent a lot of today crying, and I’m not afraid to admit that. Time to talk about it. My father, Howard Glenn Blunk, was the most amazing person I’ve ever known. He raised a beautiful family, showered all of us with love, started a multi million dollar business, and did everything he could to spread joy in the world. Being half the man he was would make me feel like a success. I’ve taken up bowling again this year. This was OUR childhood activity. Bowling was my church. Every Sunday, my Dad, my brother, and I would go to the AMF on 45 and bowl. 3 games every Sunday. And man did he beat us good, until I started bowling on the Oak Ridge bowling club team. Then his elbow started hurting after 1 or 2 games. I felt a strong desire to pick up bowling again as a way to honor him; to not let that memory ever disappear. Then we’d go home and we’d watch the Broncos beat the bad guys. I can’t begin to describe how much the Super Bowl this year hurt. I wrapped up so much of my father and all these memories watching games with him in the 2012 season. I actually had a dream the night before, that I got to meet John Elway and throw some passes with him. I told him how much my Dad loved him and idolized him, and Elway didn’t react well. I woke up knowing we’d lose. Man did I cry that day. Just ask Anu. You know the hardest part of all of this? There won’t be any new memories with him. I’m doing everything I can to remember him, to not let him be forgotten. 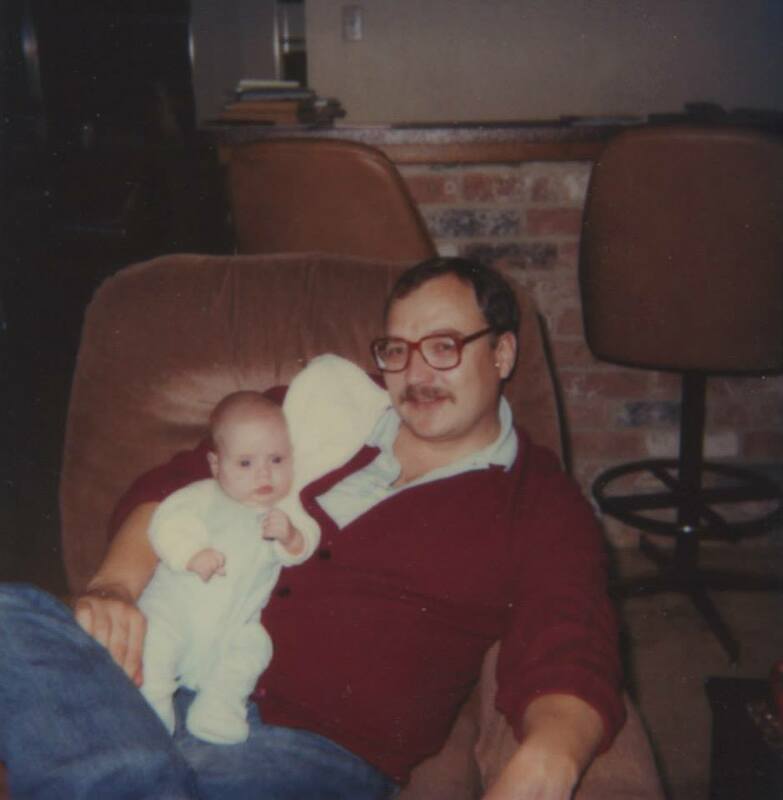 I find myself telling so many stories of my father since he passed. In business, in social situations, relaying any connection I can to him and what he’s passed on to me. I’m constantly amazed how many lessons he taught me, that I didn’t realize were lessons until now. He was so good at teaching. He knew how to persuade in a way that made you WANT to do things. He never made me do anything, but he pushed, and he motivated, and he supported. When I started my SSDP chapter at UH, he was incredibly supportive. He saw in me the same political drive that he once had, that he unfortunately wasn’t able to follow through with. He was so happy to support me. My Dad always loved to say he was my greatest cheerleader. Well damn it, he was! My cheering section is a lot quieter since he passed. I wish everyone got to know my father. My good friend Olivia once called him a happy Buddha. Apt description I’d say. He loved telling stories, and he really loved helping you fix your problems. He always was so wise, so happy to impart that wisdom on anyone he met. Outside of his family, his favorite people really were random people. He loved learning about people, hearing their stories. He was so empathetic. To think he was some rebel kid from small town Iowa. Did you know my Dad led a Vietnam war protest in Marshalltown, IA? Well, thanks to having his brother in law participate, in uniform, my Dad was run out of town. Good thing though, the FBI apparently showed up a week later looking for him. I loved hearing this story for the first time. He “grew up” to run a major division at a Fortune 500 company, that kid from small town Iowa. Then he retired and formed his own business with his wife, his partner, his best friend, my Mom. As part of this, he literally wrote the textbook on joint venture account auditing in the oil and gas industry. Boring? Maybe. But it was pretty inspiring to me, considering he taught some of the leading accountants and executives in the oil and gas industry. One last random musing before I go, it’s a funny one. My Dad didn’t like DMX at all (you know, the rapper from the 90’s). He said his music always made him angry when he heard it. I remember watching the music video for ‘Up In Here’ in the family room one time and my Dad came in, and suddenly got angry. He got so flustered and yelled yelled at me to turn it off. I still laugh whenever I think of that. That’s all for today I think. Thanks for listening to my rambling. Please keep my father, and my family in your thoughts today. That was wonderful Michael, I sure do miss him too. Luv you guys a lot, Aunt Mary.